Thanks @hedrickbt ! it’s been a good week. 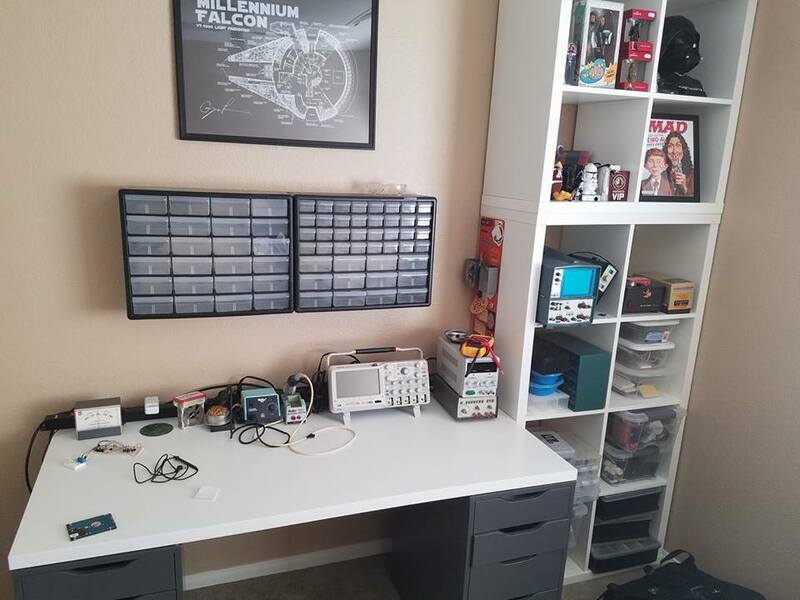 I moved from Milwaukee to Las Vegas which gave me an opportunity to upgrade my bench space, so I figured I’d post an update. Original post was Aug 1 for comparison. Fluke 77, a variety of old Fluke/Tek bench meters and a bunch of those free harbor freight meters. Tek MSO2024 and an old Tek 932 that got channel 1’s Volt/div knob broken in my move. Hoping I can find parts for it. That Long-Wei 30v deal there on the bench, and an old version of the same thing (B&K I think) in my overflow stash. Also a bunch of home made and random supplies. I have a $150 Dell laptop I got on Black Friday a year ago running Ubuntu. Slow and horrible, but works fine for Arduino stuff and basic internet research on the bench. My main computer is a Dell XPS something-er-other desktop. All of this connected to an ESXi server and running FreeNAS (soon to be Nutanix CE) on the backend for storage (block and file). Cheap-o-delux set of screw drivers off all sizes/shapes. 14 watt candelabra ceiling fan light kit. That is to say, no lighting. I use a camping headlamp at the moment. Working on something to mount under my parts drawers. Arduinos everywhere and Raspberry Pi’s. I’m sure there is more, but I don’t have the skills to justify much else. I think that’s it. Just wanted to share my update. Low cost hot air pencil? No. I have used a paint stripping heat gun though! Not yet. On the list of things to make. I have an old front loading kiln that will become a reflow oven once I get the thermocouple for it and a PID controller made on an Arduino. How many handheld DMMs? Which ones? 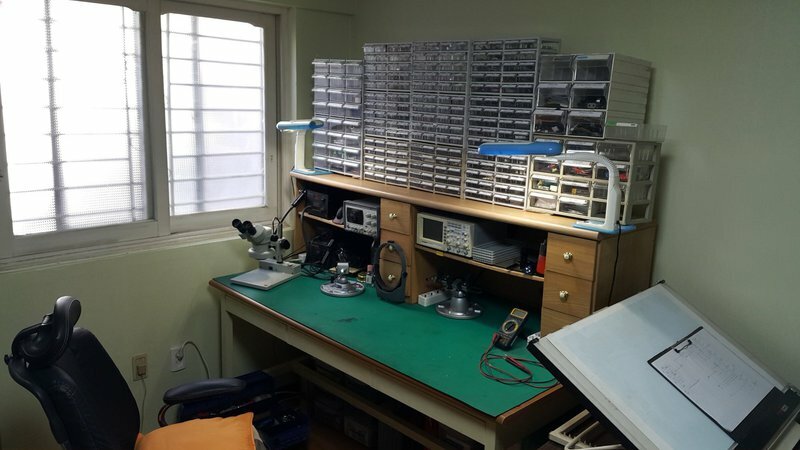 Best resolution DMM on your bench? Do you have a 2 channel or higher oscilloscope that uses probes? What is the rated bandwidth of your most-used scope? 25 MHz but my new-to-me 2225 is going to get more use. Do you feel your scope covers your needs sufficiently? Do you have a programmable bench power supply? How many outputs does it have? Saleae 24M 8ch cheap clone I got in a Hackerbox. On my list of things to replace with the genuine article. Simple project based on an AD9850 module but just does sine and square waves. Rigol DS1074Z Unlocked with high quality probes and 2 high voltage probes. 2x Saleae Logic Pro x16 so I can monitor a number of things at once. Inspection Microscope on an arm. On my bench I have a Rigol 1102E dual channel scope and a Rigol DMM 3058E 5.5 digits. I also have a Rigol wave function generator and a Rigol bench programmable power supply… Currently on my wish list is a Rigol DSA 800 series spectrum analyser. Ok, yes I know. I have the hots for Rigol LOL I like the aesthetic appeal of all the gear matching. I have a hot air pencil and soldering station. No reflow capabilities. Arduinos & Pis everywhere. I’d like a 3D printer but I haven’t got the space for it. Did that thing ever show up? I have a toaster oven and a DMM with thermocouple. Works well. A few upgrades for the bench. 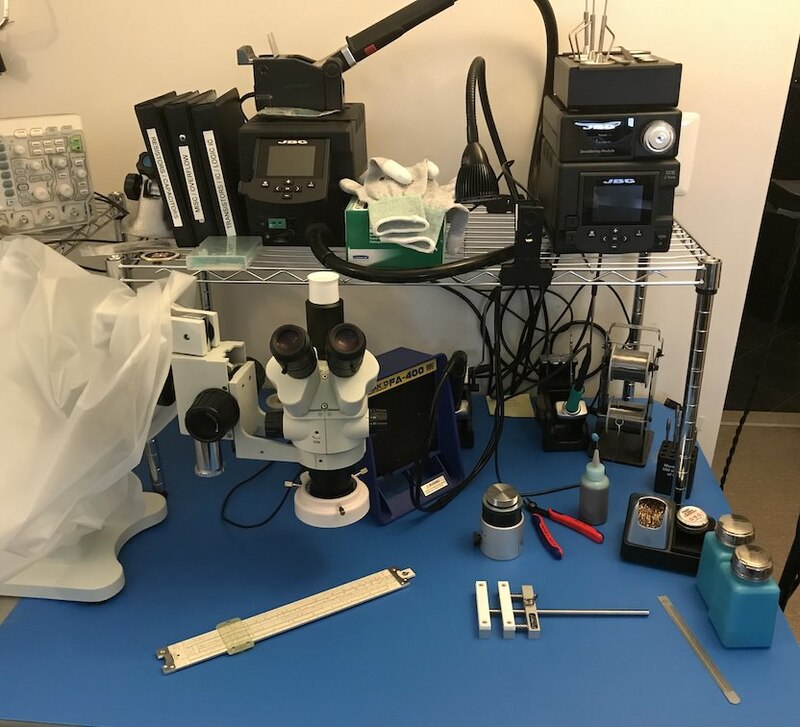 JBC DDE dual workpiece station with the electric pump desoldering module. JBC JTSE hot air station with thermocouple temperature control. Some of the boards I encounter can make a battleship nod in appreciation. Hakko fume extractor. I’d prefer a big unit with hoses but it would be too much of a pain to pack up. Dispenser bottles for 99.9% IPA and flux cleaner. Pickett N-515-T Electronics slide rule just because. 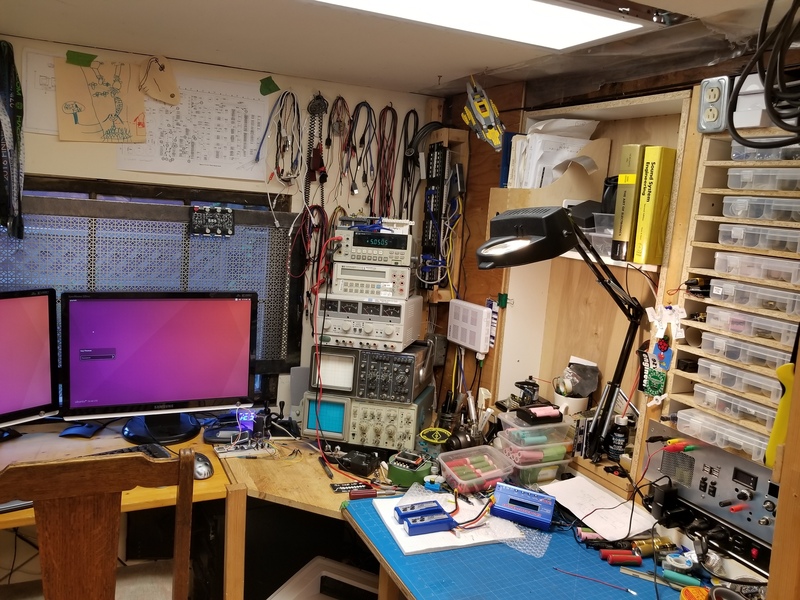 I moved my DM3068 bench multimeter to set between the two units, and ordered a dedicated Rigol waveform generator as the one built into the scope is a bit wimpy on the voltage output, and a Rigol programable load for testing batteries. Main power supply is a Rigol DP832 as well. 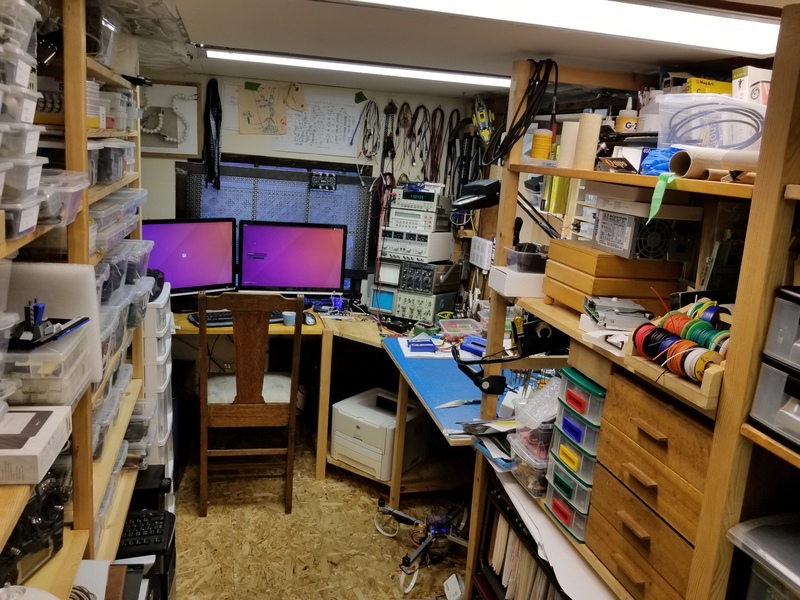 I have zero desire to work on consumer electronics outside of preserving old computers. What I have the training and qualifications for is in the high reliability realms. Using the same equipment I have at work lets me keep in practice. EDIT: Add that off to the left off camera is a DP832 power supply, DL3021 programable load, DG1022 waveform generator and a mess carefully kept off camera with all of the leads and text fixtures for batteries and such. Off to the side there’s a spot welder for battery packs. The hot air station gets used for heat shrink tubing too. My bench from about two years ago. I just finished relocating it to my new house last weekend, everything is stored in the new room (an unused, walk-in pantry). Need to get a new table and begin organization. 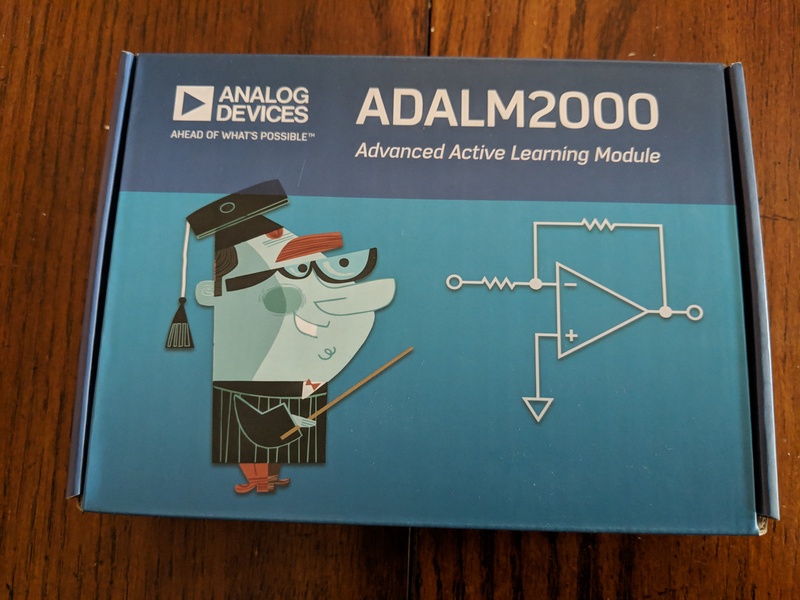 In reply to user Corelogic: Back in college, around 1983?, I randomly decided to take the Ham radio Extra Class license exam at a local hamfest. To my surprise I passed the Morse code test, so I proceeded to take the theory portion of the exam. The proctor said I had to erase all memory from my calculator to use it during the test. I refused, since I had a ton of programs, painstakingly typed in, that I was actively using in my engineering classes. I happened to have a slide rule in my backpack that I had been learning to use over the summer. I asked if I could use it instead, and he said okay. During the test be came by and asked if I needed a bucket of water to cool my slipstick! To this day, I proudly proclaim that my license is Amateur Extra Class with the Slide Rule endorsement. Some crappy ones plus EEVBlog’s 121GW and Brymen 235 or whatever it’s called. Yes, but I would prefer a hardware based serial decode. Vision Engineering Mantis compact!! LOVE that thing!! Abacom EZ-PICK manual pick and place machine. Super handy and easy to use! Now to remember what I wanted to do with it. It’s about time! It looked like a promising piece of gear for the price, who would have known they would have so much trouble delivering it. In the spirit of bench checking, I haven’t seen any love for Picotech oscilloscopes (https://www.picotech.com/). I use them exclusively for my day to day lab work and prefer the PC interface to a separate scope. Being PC based also allows for automating data captures if you are working on repetitive waveform measurements, though I haven’t delved too deep into the automated functions. I’m just starting to get equipment, so this discussion is great! I’ve got a Micronta DMM which has done very well for me over the years. I’ve also just acquired a 100Mhz TEK 2246 2-channel scope from eBay a few months ago – it seems to be working quite well. 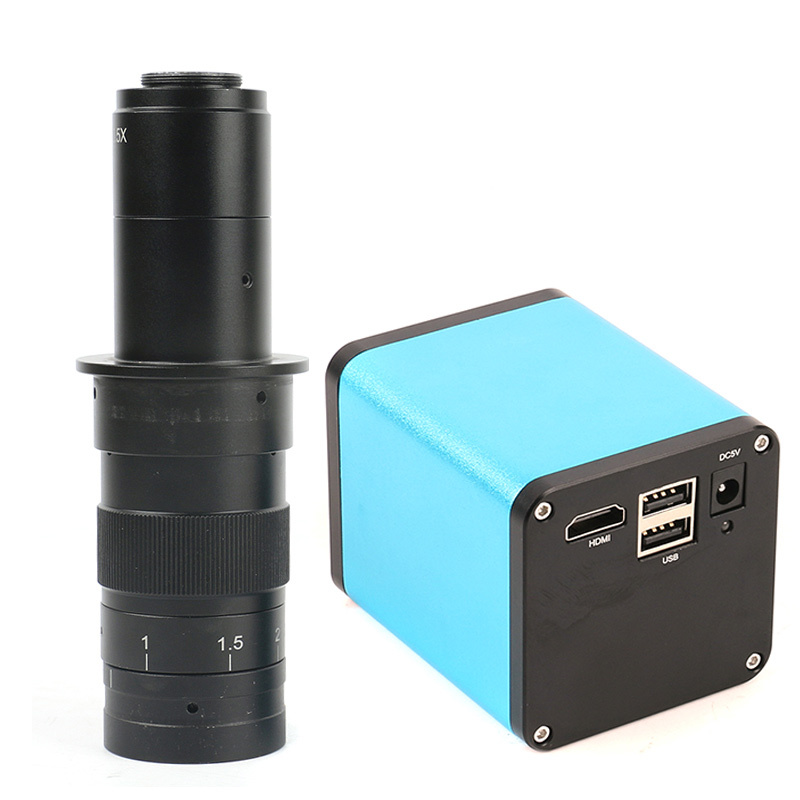 I’m looking at getting an on-desk microscope tied directly or indirectly to a 27" monitor. I’ve also got an excellent laptop (MSI modded for gaming, lol) that I’ve set up with KiCAD and various other software tools. 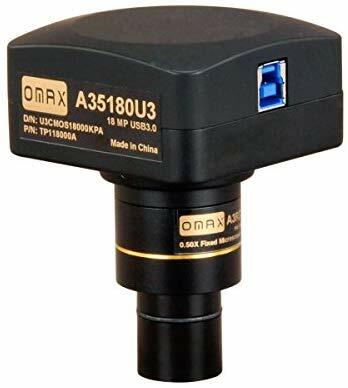 Anyone have recommendations for a microscope? Nikon, Leica and Olympus are much better quality but come with a higher price. Ebay is an option. which is virtually lag free so i can solder in it easily as well as do hires captures, i don’t even need the mantis with that. I bought a PicoScope some years ago and it was the worst piece of crap I have ever laid my hands on! Awful user interface, the triggering possibilities were very limited, and the results were so noisy it was practically useless. I have experienced some other models, too, which were also dismal. So no love from me, and I’ve been put off Pico forever.